These custom made Carbon Fiber shells are a thinner make to our Classic Carbon Fiber for a bit warmer and softer tone. They are approximately just over a third thinner in actual shell thickness, but feature unique blend of carbon and fiberglass. This gives the shell a lower note and broader resonance, with a touch less volume. They come in a matte natural clear coat instead of typical high gloss. Carbon Fiber shells are very well known for their rich wood-like tones but with the projection of a metal shell and added clarity. 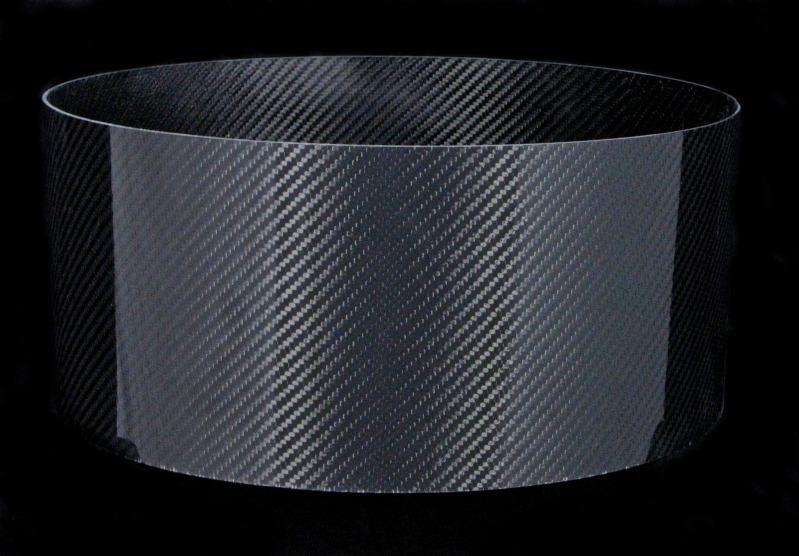 All Carbon Fiber shells are amazingly impervious from weather and temperature changes. Your drums will sound great regardless if you leave them in a hot car or play at an outdoor venue; there are no tuning struggles here. Our Vintage CF shells have a distinct sound and an alternatively different feel from our Classic CF line. Great to pair with wood hooped rims.